Waist apron, money apron with three pockets. 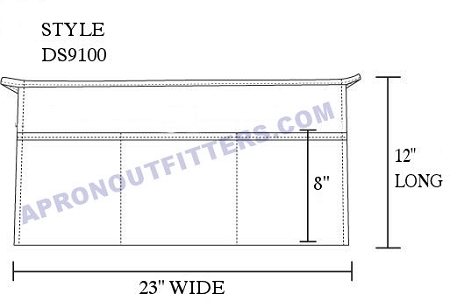 American made waist apron. emerald green aprons,diner aprons. 3 Pocket waist apron in emerald green. 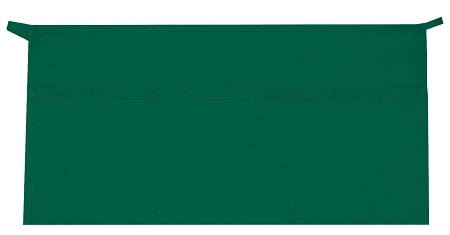 Our emerald green waist apron is a very nice color in between the kelly and hunter green colors. Made with our professional grade poly/cotton twill fabric. Standard with 3 pockets, reinforced stress points, wrinkle and soil release and extra ling fabric ties. U.S.A. made apron available in emerald green.